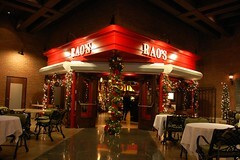 Rao's in New York City has been around since 1896. 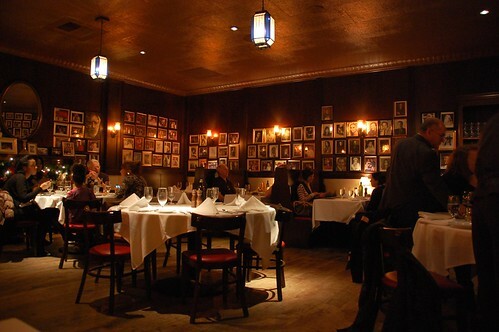 Apparently, it's hard to get a reservation there. Not so in Las Vegas. In fact, we hadn't planned to eat here at all. It was the fourth restaurant we visited, and it was simply the only one in Caesars Palace that was still open when we got in late Friday night. 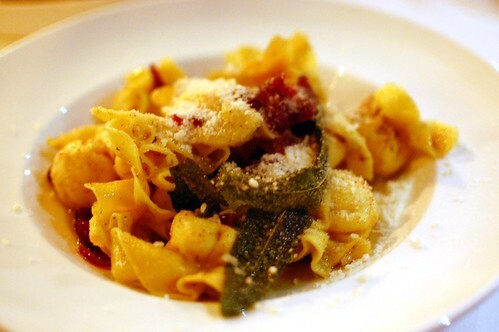 Fiochetti al Burro, Salvia e Amarena -- beggar purse ravioli stuffed with pear and ricotta cheese in a butter, sage, and dried cranberry sauce ($28). 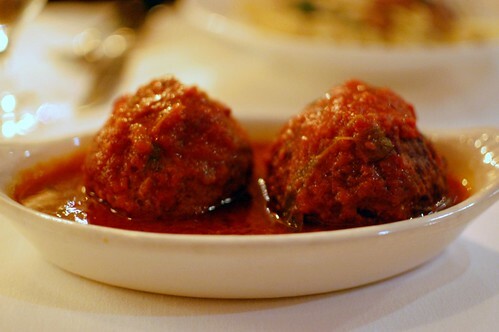 Le Polpette di Rao's -- traditional Rao's meatballs served in tomato sauce ($15). Better than meh. Juicy, good texture, nice blend of meats, but too salty. This meal (as each of our meals and rooms in Vegas during this trip) was comped. As you can see, though, I won't lie even when things are free. Even when food is meh, your photos make it look good! Yikes... that's some pricey meh pasta! Glad you didn't have to pay for it. the meatballs in new york even look better than the ones in vegas. proof a picture is worth a thousand words. As a sidenote, it really irritates me when people call it "vegis." too bad. but yay for comped. Comped?! That is awesome. Meh and free is still free! 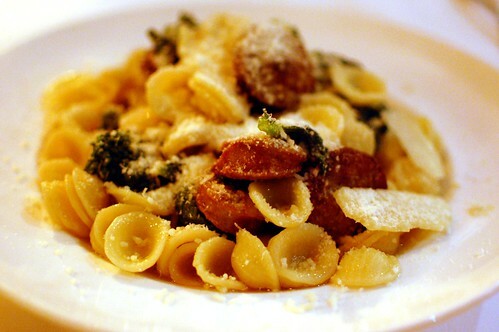 that was an expensive pasta dinner - especially for 2/3rds of it being meh! good thing for it being comped. Pricey city! 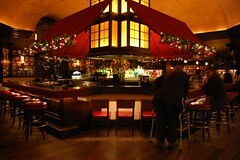 My bro was just telling me how awesome Rao's in NYC is. Perhaps the Vegas outlet dropped the ball!? Oh, well. At least it was FREE!